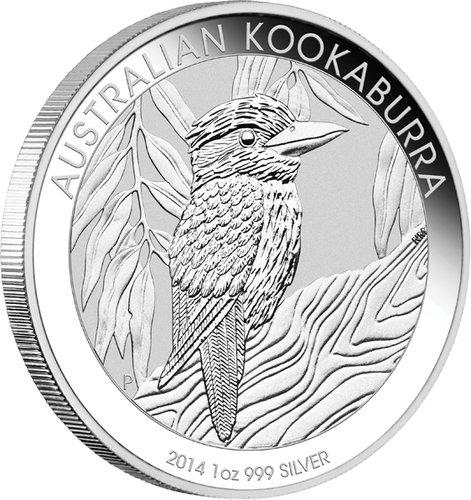 This year’s stunning new kookaburra coins represents an unrivalled combination of quality, design and choice. A laughing kookaburra, the largest member of the kingfisher species, is synonymous with the Australian outback. In 2014, The Perth Mint is releasing three bullion coins meticulously struck from 99.9% of silver in 1 kilo, 10oz and 1oz sizes. Only 500,000 1oz coins will be released. No mintage limit applies to the 1kg and 10oz coins. Each coin’s reverse depicts a kookaburra sitting on a tree branch surrounded by gum leaves. The Perth Mint’s ‘P’ mintmark and year-date are included in the design. 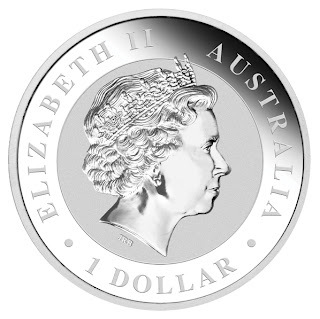 Issued as Australian legal tender, the obverse of each coin bears the Ian Rank-Broadley effigy of Her Majesty Queen Elizabeth II on its obverse. All Australian Kookaburra bullion coins are presented in protective acrylic capsules.